Make you customized Financial Models. The only thing certain about the future is that it is “Uncertain”, but through effective planning, the outcome can be Managed. If you are looking for: expansion of your business, starting of a new project, thinking of a buyout or facing any other type of uncertainty, then you are at right place. I will do all necessary analysis for you, either in the form of a Financial Model or in any other suitable form, to help you understand WHAT's COMING A HEAD!!! My analysis will help you making decision which is most suitable for you and your business in the given circumstances. -Projected financial statements i.e. Income Statement, Balance Sheet, Statement of Cash flows and their related schedules. -Budgets and Forecast Sheets (Depending upon your requirements). -Graphs and Charts for detailed analysis showing pictorial representations of the situation. -Any other type of analysis required by the clients can also be included in final outcome. A Skype meeting will be arranged with client to discuss and finalize the nature and scope of work required. Delivery time and charges are variable depending on nature of the task. As situations differ from client to client so I cannot name any specific requirements. In the first skype meeting we will discuss about inputs required from your side and key-deliverables of the project and other related matters. My Name is Muhammad Obaidullah, a Management Accountant based in Islamabad Pakistan. 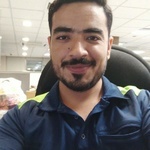 I am a professional having experience in fortune 500 organization, and who has delivered on...Read moreMy Name is Muhammad Obaidullah, a Management Accountant based in Islamabad Pakistan. Integrity, Quality, and Timeliness are my core values and this is what I would be offering to my clients.